Last year for my birthday I received a gift card to Teavana from a generous co-worker. I’d been sitting on it for a while, trying to decide what to order. A few weeks ago I got an email advertising a sale on quite a few teas so I decided to bite the bullet and order some. On the list of things I wanted to try was the world famous Oprah Chai. 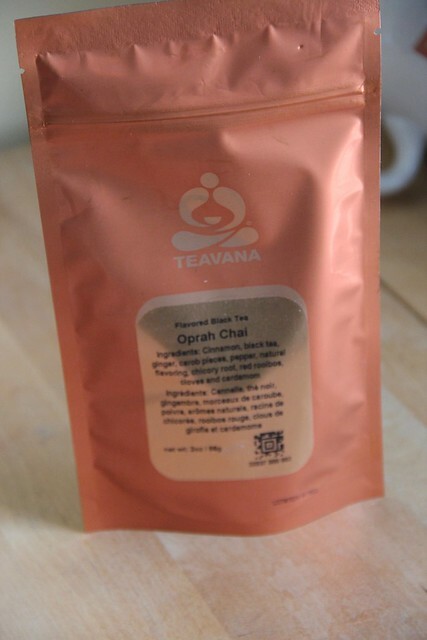 Oprah Chai contains cinnamon, black tea, ginger, carob pieces, pepper, chicory root, red rooibos, cloves and cardamom. It is available in 2oz increments for $14.98. When I first opened the package I was blown away by the chicory root and all the intense aromas. While brewing however, I could smell each more distinctly. I didn’t add honey or milk to mine, but I have to admit it was a nice strong chai with a good full spicy flavor. I’m sometimes skeptical of products that carry celebrity names, but this was a good tea and I would definitely buy it again. 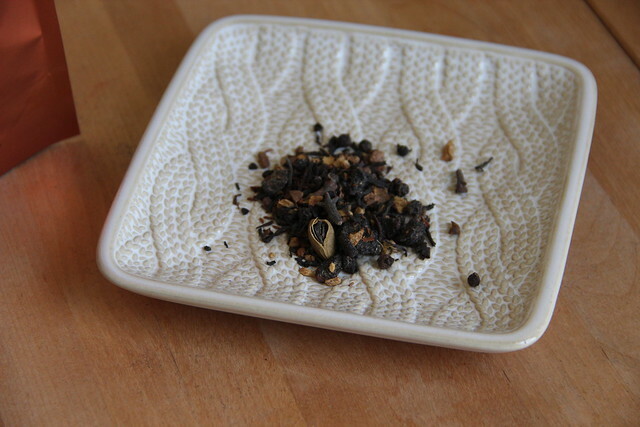 I’ve been thinking of taste testing to find the best chai, much like I did for Earl Grey a while ago. Stay tuned for that in the coming months!